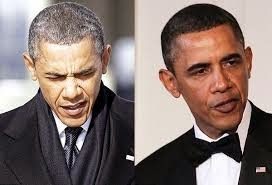 The mystery behind the growing take over of white hairs on the head of President Barack Obama has been finally explained. No, it is not the stress of dealing with the nearly $18 trillion national debt, nor is it the ongoing difficulties associated with his signature healthcare program, nor the risk of his party losing Senate control in the midterm elections, nor even his historically low public approval ratings. The natural loss of pigmentation in the hair of aging humans also does not account for this. The answer instead is that Obama's hairs have turned white in the face of the heroic defiance of his misguided policies by Egypt's lionhearted leader.